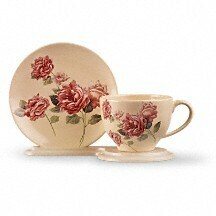 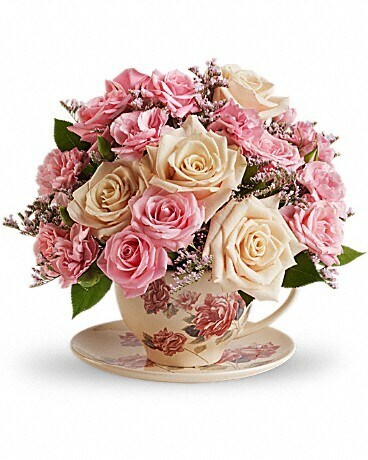 Send warm wishes with this lovely gift bouquet that arrives in a ceramic teacup. 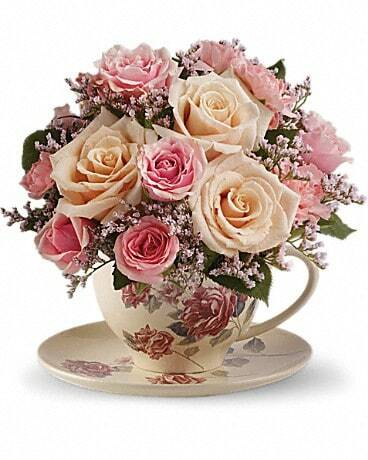 This charming, old-fashioned bouquet features pink and crème roses. 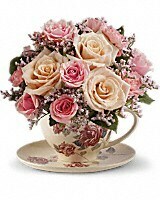 Send comfort to the recently bereaved with this sweet sympathy flower arrangement. 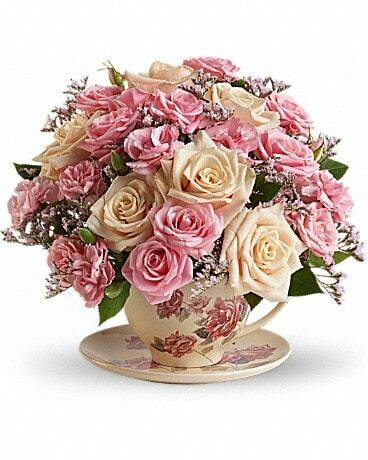 This charming, old-fashioned bouquet features pink roses in a floral teacup.